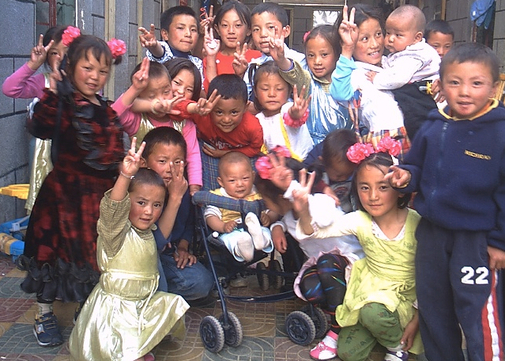 ​﻿One of the most important long-term goals of the Nyerongsha Institute is to establish an urgent care clinic in the center of Lhasa to provide much-needed medical services based on Western modes of treatment. The vision is to have Western-trained physicians staff the center, ideally using the most modern, proven medical techniques and the most sophisticated and effective medical equipment. ​According to Dr. Dickey Nyerongsha, Lhasa currently lacks sufficient, easily accessible medical services for emergency care. Most people in the poorer neighborhoods can’t afford to visit the few modern medical facilities. As it happens, one of the fields in which Western medicine excels is in acute care, where imaging technology, sophisticated surgical techniques and other advanced approaches to extreme cases offer the best response to critical situations. The addition of a Western urgent care clinic could therefore provide a substantial boost to the standard of living in the city. Steps have already been taken toward achieving this goal. ​In addition, The Nyerongsha Institute would like to see all of its humanitarian projects expand as much as possible over the coming decade.